NOTE: The tasks and timings shown here for your Carpets & Rugs are based on a single-family home (owned), located in Massachusetts, United States, with priority set at ‘1 star' or higher, for all possible goals. If you set your personalization differently in your Home Wizard app, then you may get reminders for different tasks and timings in your recommended home care program for your Carpets & Rugs. Steam cleaning can be accomplished by hiring a professional, or you can "do-it-yourself" by renting a carpet steam cleaning machine from a supermarket, floor covering store, etc. 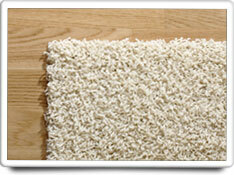 The cost of this task is moderately low, and will depend on the square yardage of carpet that you have in your home. You will need to rent a special steam cleaner or hire a professional carpet cleaner to do this task..